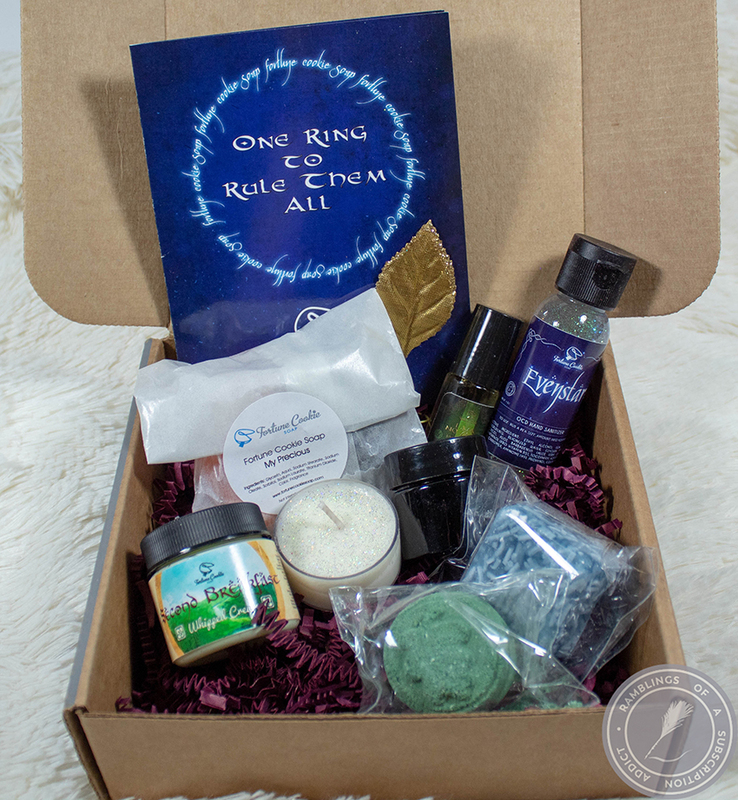 This was my final box for 2018. 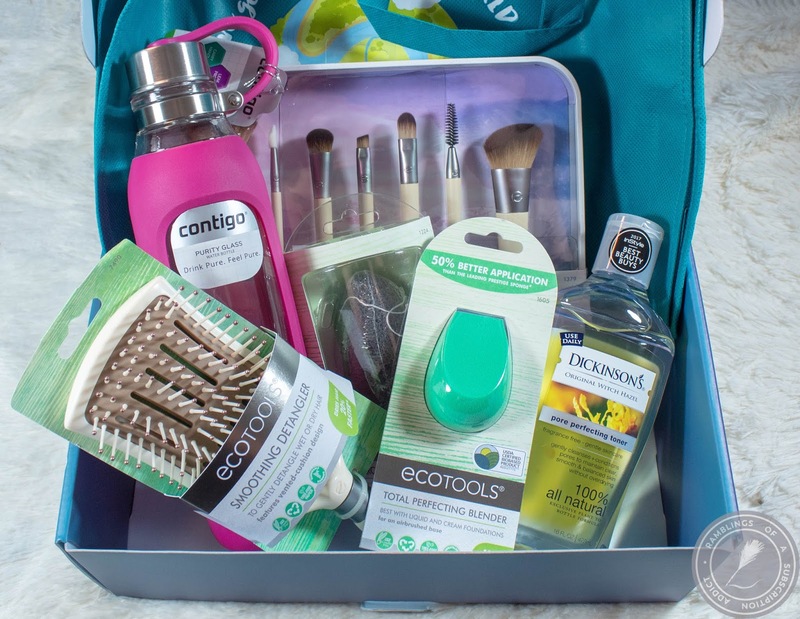 While I loved getting the box monthly, I soon became overwhelmed with brushes and decided to stop buying. 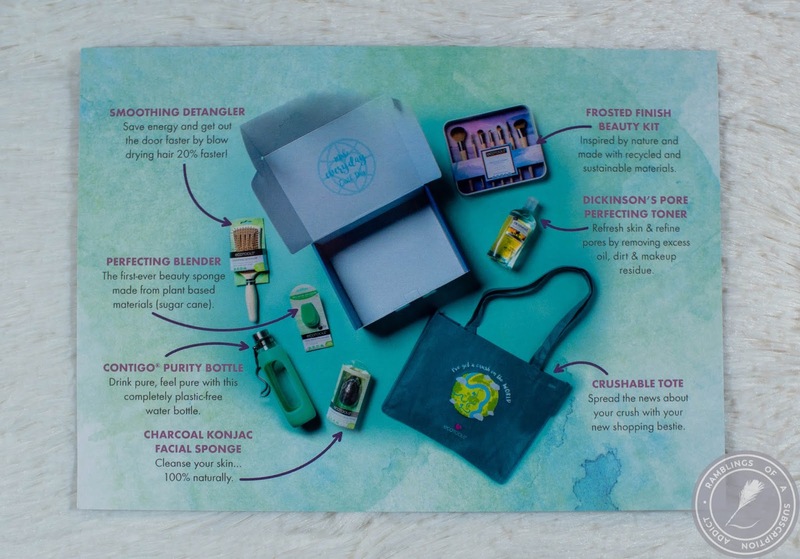 Most of the boxes are still available online if you want to get them now. 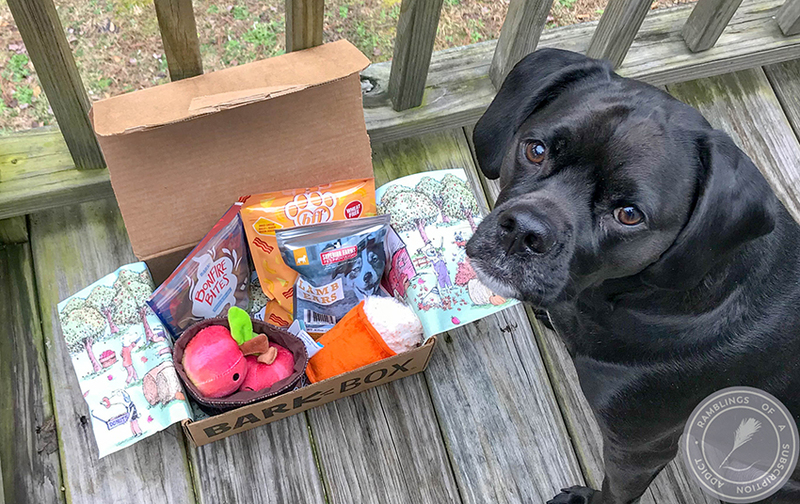 The box was too cute for words. 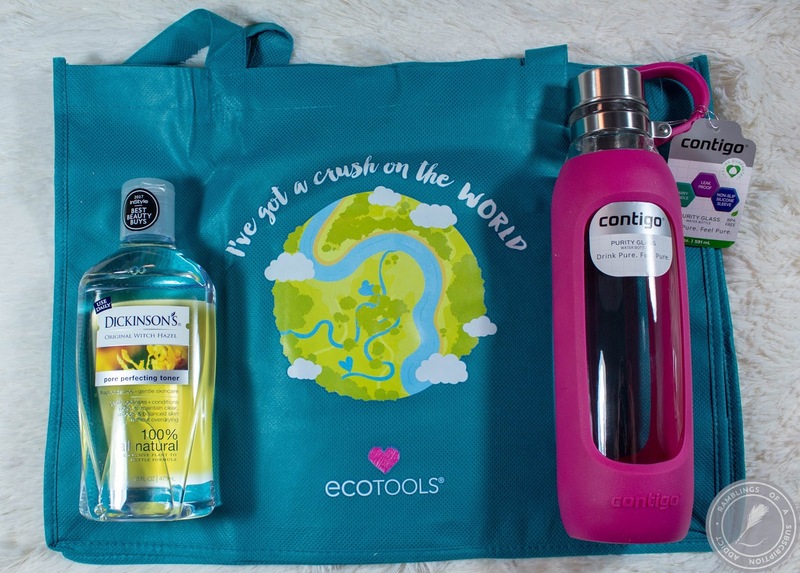 ecoTools Reusable Bag ($2.00?) 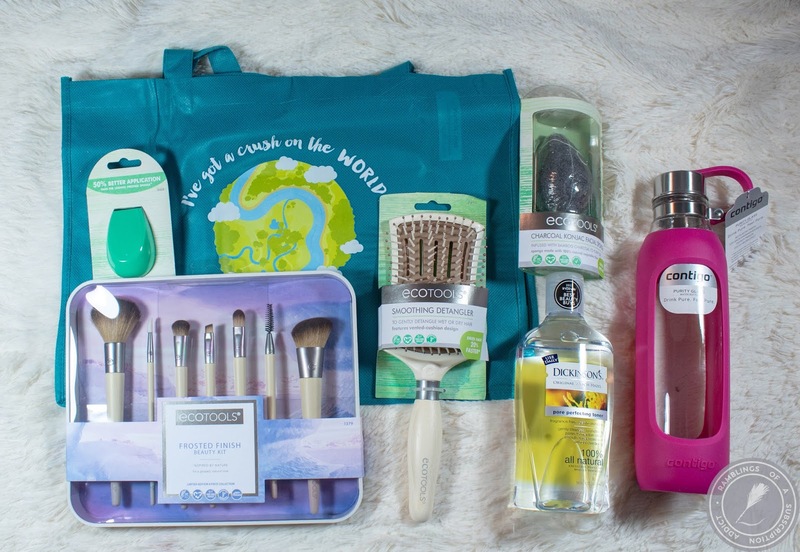 - I guessed the value based on what I pay for my reusable bags. With my purchase of this box, I actually received another bag as a gift with purchase. I love these for makeup runs because I'm not worried about what I'm buying being too heavy, but I'm saving plastic! Contigo Purity Glass Water Bottle ($13.49) -This is a really good bottle but because it's glass and I'm one of the more clumsy people, I passed this along to someone that is less so. I do like the design of it but I'm not sure how well this would keep water cool during the summer. Still, use reusable bottles. Think of the planet. 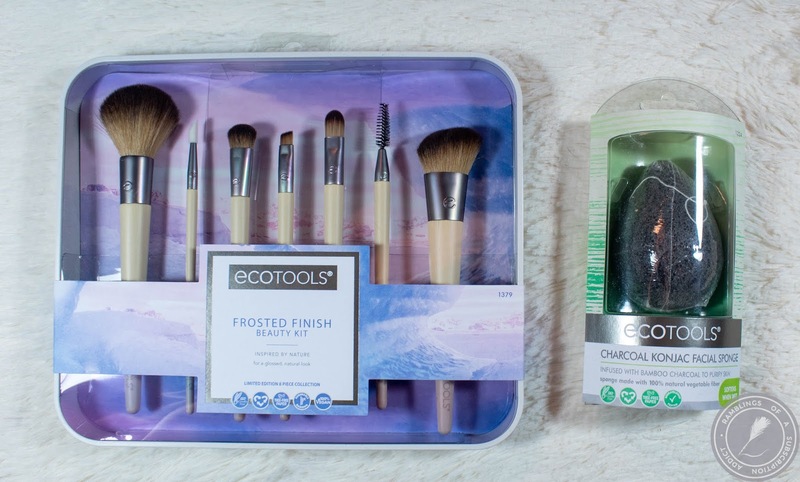 ecoTools Frosted Finish Beauty Kit ($19.99) - One of my favorite brush sets out there, if you can find it. The two brushes on the end are wonderful for powders, contour, blush, or bronzer, and I always need more spoolies and brow brushes. ecoTools Charcoal Konjac Facial Sponge ($5.99) - I've used Konjac sponges in the past but I became less of a fan of them after they started exfoliating too much. I passed this along. 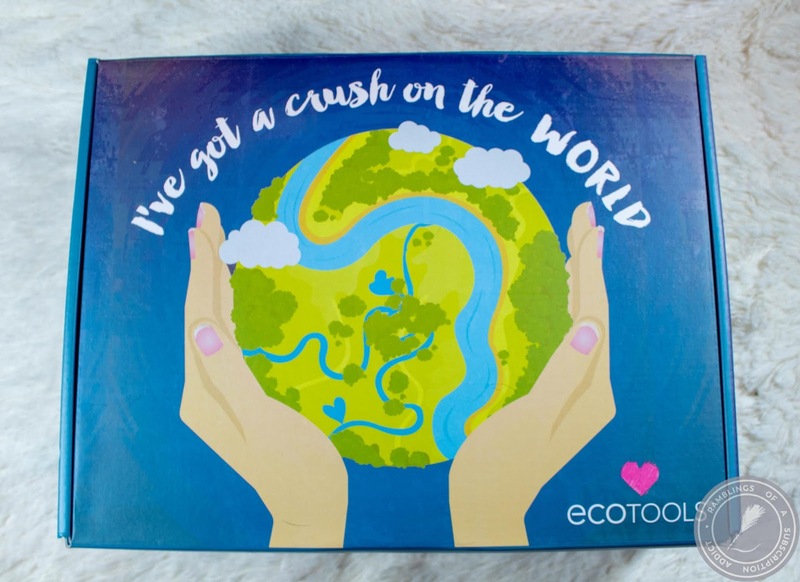 ecoTools Total Perfecting Blender ($5.99) - My all-time favorite beauty sponge. I've bought at least four more of these since finding and trying this one out. 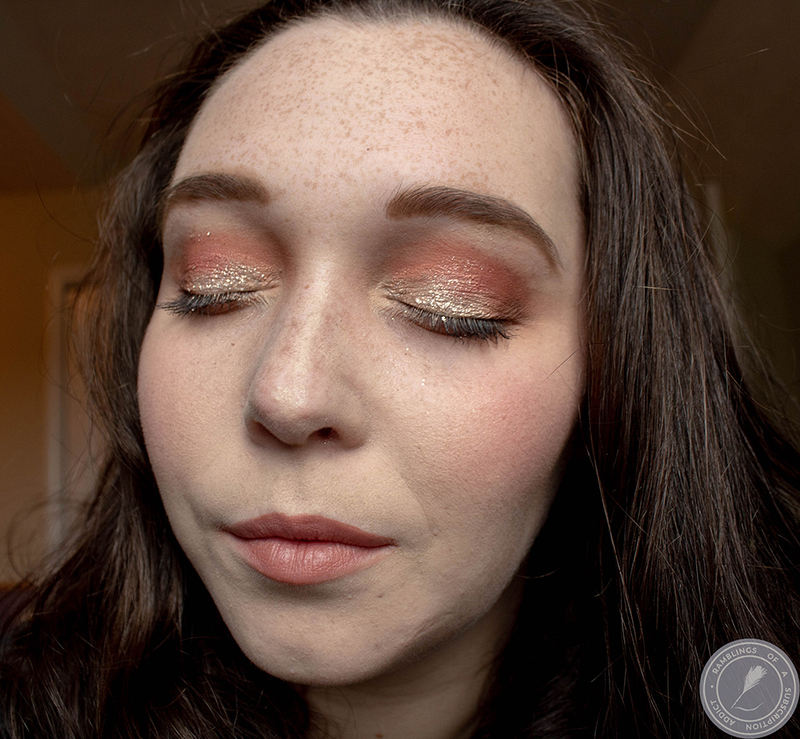 It's the best for applying foundation, concealer, and cream products. It blends wonderfully annnnnd, it's only $6. 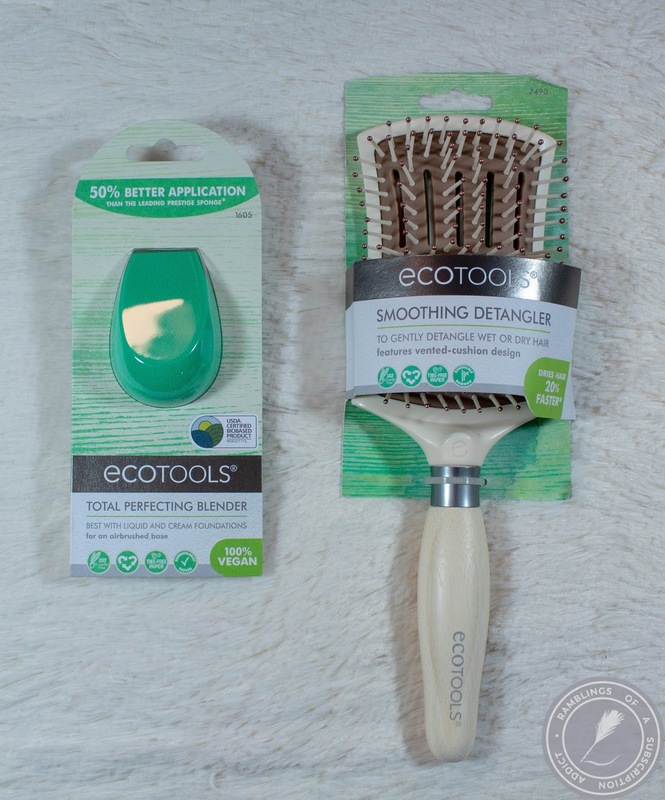 ecoTools Smoothing Detangler ($10.99) - I never was a brush girl until I actually had brushes. Now, I use them pretty frequently. I don't do much brushing when my hair is wet, like this one is kinda more made for, but this is great to just loosen up my hair when its straight and a little messy and it feels sooo good on my scalp. This box was valued at an estimated $63.14, a couple of items aren't listed online anymore. Overall, I love it. I found my new holy grail sponge which makes it worth it to me (I was using a beautyBlender before and man, those are expensive).